Happy and committed couples often feel their love to be a divine gift for which they are deeply grateful. – If you and your partner wish to marry you decide to share a life together, looking in the same direction, and sharing your future. With a church wedding you trust that God says ‘Yes’ to your marriage and will strengthen and bless your bond. At the wedding service you receive God’s blessing as a married couple for your future path together. The church service is also a public promise that you will live together as a couple and family. At least one partner needs to be a member of a Christian Church. The local church where you are registered will provide written confirmation of your church membership. If you already have had your civil wedding in Germany, Ireland, or elsewhere, the wedding at church will go ahead. If you wish to have your civil wedding in conjunction with your church wedding, you need to register at least three months in advance at your Civil Registration Service Office. Please contact the German Embassy which provides an information leaflet. Pastor Stephan Arras and Pastor (hon.) 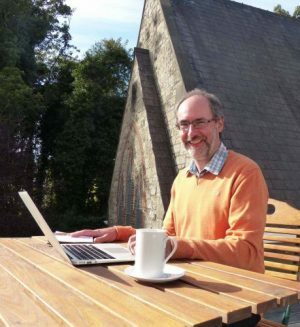 Martin Sauter are registered as solemnizers (Standesbeamte) for the Lutheran Church in Ireland. Wedding church services can take place anywhere in Ireland, including as ecumenical services. Usually they are held in a church or chapel. Wedding services are special services which take place on a special date arranged by the couple and pastor. We request a fee for this service. If the service takes place outside Dublin the pastor will need to be reimbursed for travel expenses. If you wish to have organ music at the service we request a fee of c. €50,- for the organist. It may be possible to have a reception after the service in the Lutherhaus. Please find more information here.